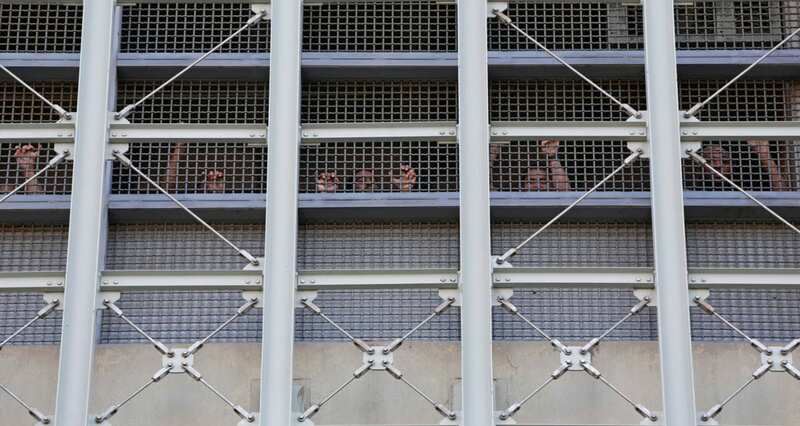 The Federal Defenders of New York is suing the Metropolitan Detention Center in Brooklyn, New York for violating inmates’ Sixth Amendment right during a recent partial power outage. The outage left inmates in the cold and without power for days. According to CNN, the outage was caused by a fire in the switch-gear room. The Federal Defenders of New York, which is a non-profit legal organization that represents the low-income populations accused of federal crimes, claim that inmates rights were not upheld between Jan. 28 and this past Saturday. Many people first heard about the news through journalist and activist, Shaun King. The Sixth Amendment ensures the right for criminal prosecutions to accurate, fair and legitimate. Although visitation was permitted on Sunday, the regular time span was not recognized. The suit alleges that attorneys were escorted out due to pepper spray being released in the visiting room at the detention center. The suit also claims that The Federal Bureau of Prisons’ statements in a press release were untrue. The Bureau assured the public that the heating in the building wasn’t affected by the power outage and the inmates received medical attention. An attorney with The Federal Defenders of New York visited the prison observed otherwise. The Bureau said in an email that will not comment on legal matters, as a response to the lawsuit. Over the weekend, protestors, including TV personality, Yandy Smith Harris and activist, Tamika D. Mallory protested against the harsh conditions inmates were facing. Smith was one of the few individuals who was unfortunately affected by the pepper spray release by guards. The electrical power was restored at the facility on Sunday evening.